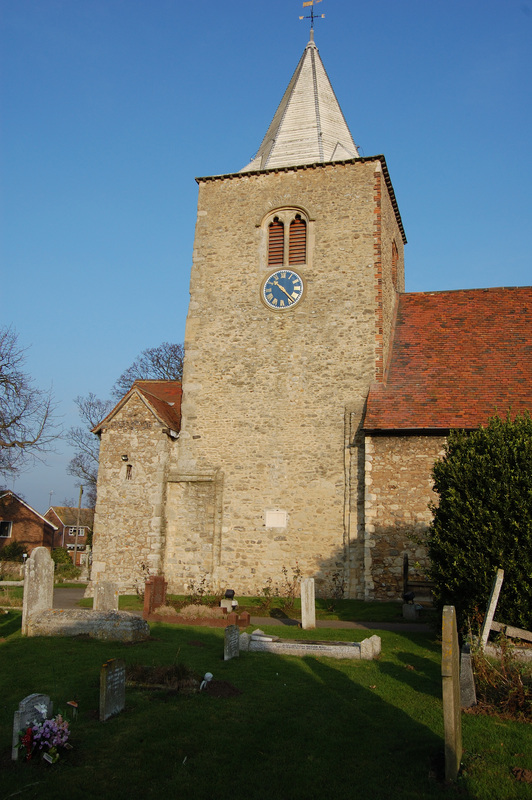 The lower stage of the tower was added to the Norman church around 1130, and the upper part constructed towards the end of the 12th century. The buttress between the West Porch and the tower was built between 1130 and 1140. 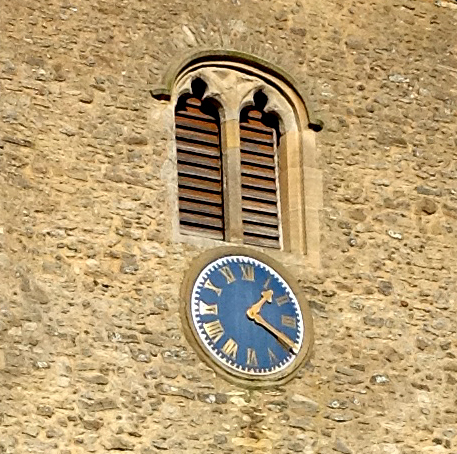 There is 15th century window in the west wall of the tower, and another one above the clock on the south wall. The clock on the tower was made by Thwaites & Reed of London in 1913. 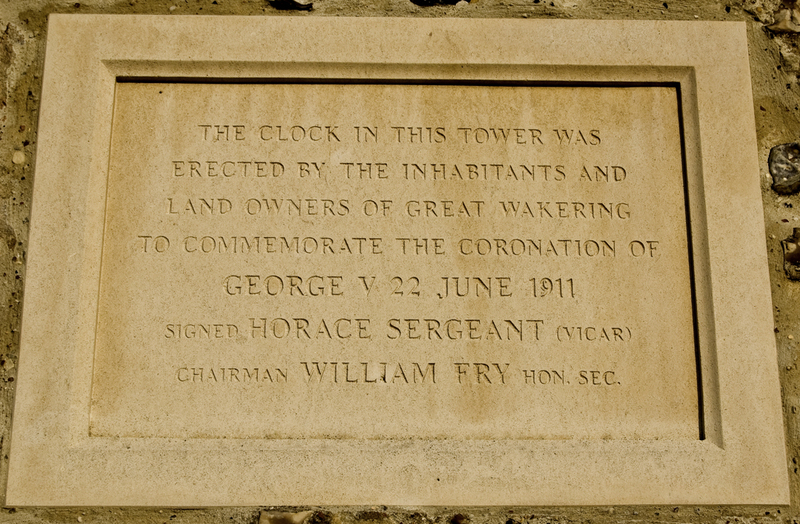 It was installed to commemorate the coronation of King George V.
E King of Shoeburyness made parts for the clock, and this name is on the dial. In Kelly's Directory at the Essex Record Office, Edward King, Watchmaker, is listed as operating in Shoeburyness in 1910, but does not appear in later editions. 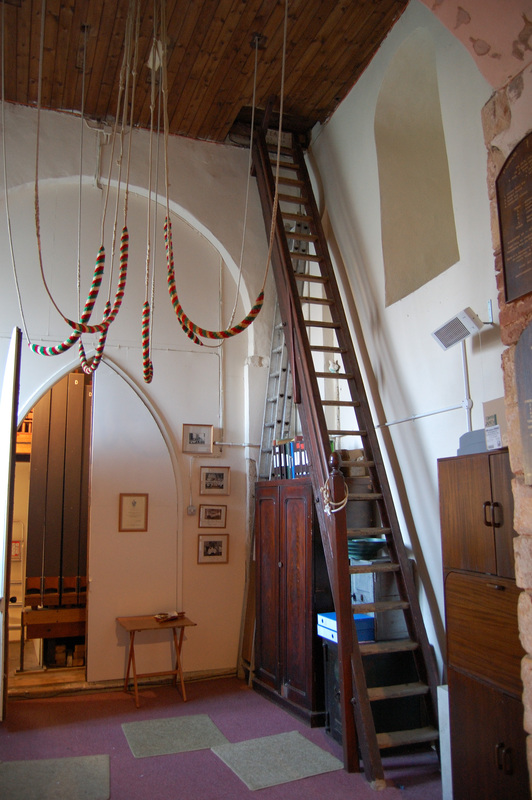 The lower stage of the Norman tower is used as the vestry. Between the vestry and the West Porch is a decorated stone arch. It has a two-centred arch in a square head. 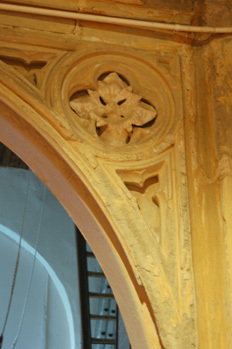 The spandrels have quatrefoiled circles enclosing foliage. 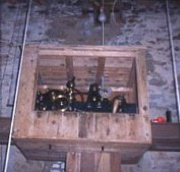 In 1961, the clock was repaired by RJ Yeo of Rochford. This firm also did repairs in 1977, when the dials were restored and repainted to commemorate the Silver Jubilee of Queen Elizabeth II. The clock has no springs. 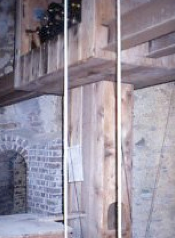 The mechanism is controlled by two weights consisting of a series of smaller weights, attached to wires that run out from the clock and down inside the tower in a special wooden casing. As the pendulum swings, the weights gradually descend over seven days, turning the clock's gears. On the seventh day, an appointed winder winds the weights back to the clock and the process begins again. The clock is maintained by the parish council.